Sorbet is one of the things I miss terribly because almost all of the commercial versions have corn in some form in them. This is a fairly easy recipe, making it perfect for this weekend, when I was going away for my 20th college reunion. Also, just as a side note, you could also sub out the watermelon for a quart of strawberries or a quart of peeled sliced peaches. I bet they’d be awesome too. 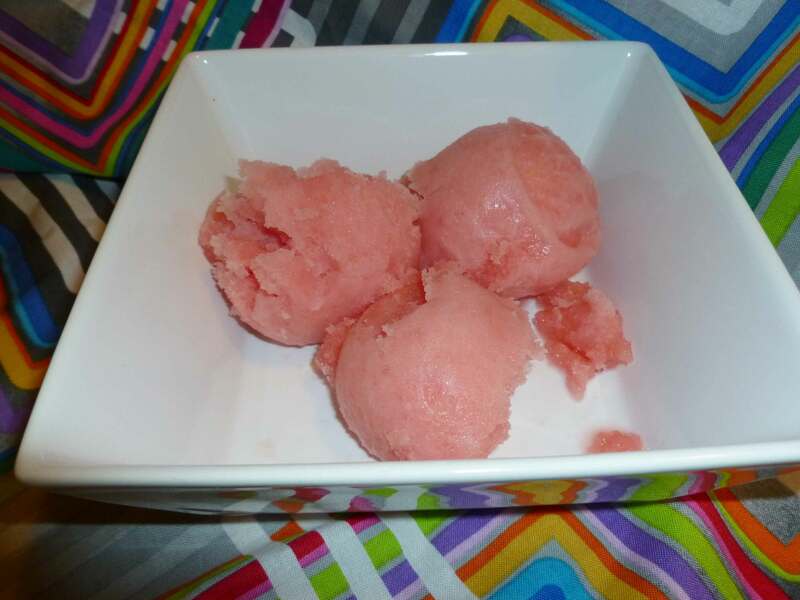 Warning: Before you make sorbet, you need an ice cream maker and if it’s like mine, you need to have frozen the insert ahead of time. Also, it helps to make the simple syrup the day before and let it cool in the fridge overnight. If you’re just making ice pops, just cool the simple syrup to room temperature before mixing it with the watermelon juice. Again, make sure that your ice cream maker is ready to go according to the manufacturer’s instructions, whether that means your insert is frozen or whatever else you might have to do. The day before you are going to do your sorbet, make the simple syrup. Place the sugar and water in a sauce pan and bring it to a boil without stirring. Turn it down to a low simmer and simmer until all the sugar has dissolved to make a simple syrup. Pour the simple syrup into a heat resistant bowl and put it into the fridge to cool. Place watermelon in a food processor or blender (in batches if necessary) and blend until smooth. Pour the liquid through a strainer to remove any seeds making sure that you press any large fruit bits remaining through the strainer. You don’t want to waste any of the watermelon. Add the wine and the simple syrup to the watermelon mixture and mix until combined thoroughly. 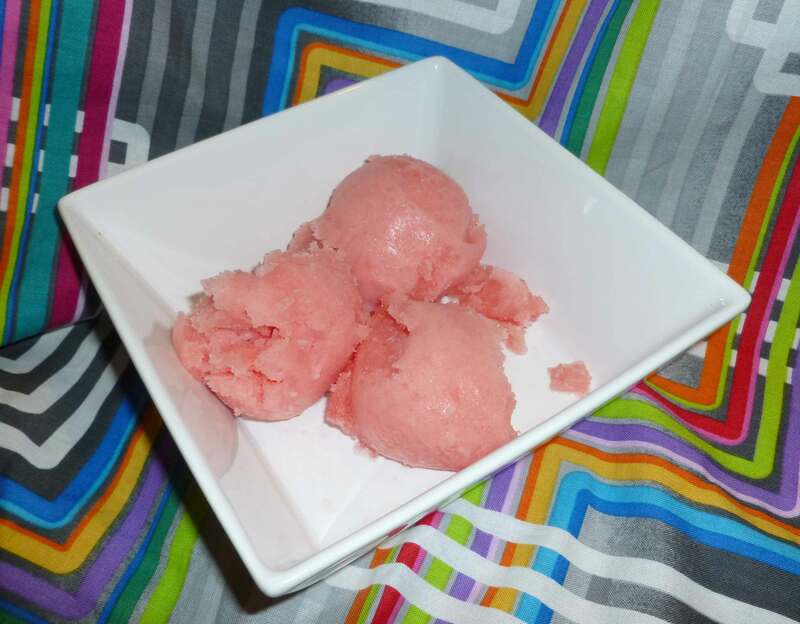 Follow your ice cream maker’s instructions to make the sorbet, or make ice pops with the mixture by using paper or plastic cups or ice pop molds and placing them in the freezer until frozen.